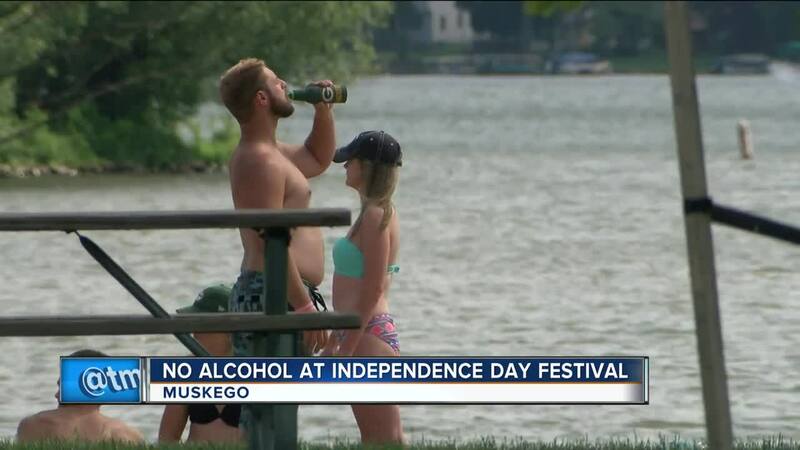 Alcohol is now prohibited at the July 3rd Muskego Ski and Fireworks show. It’s a recent decision made by the police department, police say this new guideline is being put into effect to create a safer atmosphere for families and it’ll also help the city with logistical issues. Muskego Police told TODAY’S TMJ4 booze along with a rise in attendance over the years has lead to multiple altercations on Idle Isle park during the celebration. "I agree with it, it’s just too many problems, too many fights,” said Joseph Hanson, another parent. Muskego police say last year officers made several arrests of intoxicated individuals, with one such arrest resulting in a serious injury to one of their officers. The fireworks last year seriously taxed the police department’s resources. Along with no alcohol, families won’t be allowed to park on the island because of space issues. There’s only one way in and out on the slim bridge and police have to usher both foot traffic and vehicles on the same roadway. Event goers say it’ll be interesting to see how the new protocols will be enforced. “I don’t truly believe that that will prevent any alcohol beverages on the grounds,” Czernejewski said. The police department says they will be adding staff the day to ensure a family atmosphere is maintained.